Michael Calce known as “Mafiaboy,” was born in 1984 and grew up in West Island, Quebec a suburb of Montreal. He now describes himself growing up as a “bratty kid” from a divorced family who needed to be “preoccupied.” He was given his first computer at 6 years old for just that purpose. By 9 years old he had hacked into AOL extending his 30 day free trial. On February 7, 2000, after being “egged on” by another hacker, 15 year old Calce launched denial-of-service (DOS) attacks against, eBay, Buy.com, CNN, Dell, Amazon and Yahoo.com, at the time the world’s leading search engine. 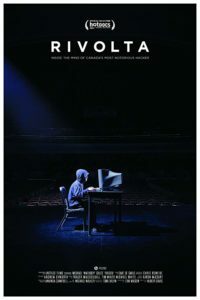 He christened the attack Rivolta, Italian for “riot.” His method of attack was to first compromise and take over several university computers from which he was able to harness their collective powers to launch the DOS attacks. The attacks shut down Yahoo for almost an hour and severely impaired service on the other sites. 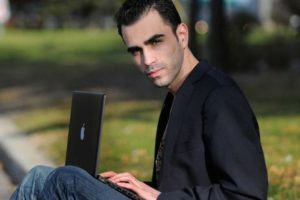 He says his goal was to “intimidate” other hackers via notoriety for his hacking group TNT, not unlike rappers who battle other MCs, and he achieved that level of infamy when he took down the six major websites during the 2000 attacks. After Calce “bragged about the attacks” in an IRC chat room in 2001, authorities from United States Attorney General Janet Reno and the FBI, to the Royal Canadian Mounted Police (RCMP) were all now hot on his trail. He was eventually apprehended, arrested and tried for the attacks. Ultimately he pled guilty to 56 counts, and on September 2, 2001, was sentenced to eight months in a group home and ordered to pay a small fine. 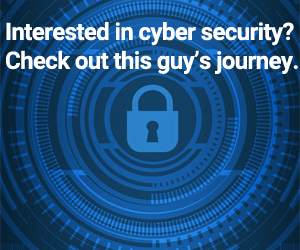 He currently works as a “white hat hacker” helping corporations protect themselves from malicious actors. He thinks the greatest threats to organizations are social engineering attacks and overlooked unprotected assets like corporate printers that often still use default passwords and are seen to be inconsequential by IT security teams. In April 2017 a documentary film called Rivolta about Calce’s exploits was released. Calce believes the number one way to stay safe online is with stronger passwords. His DOS attacks were estimated to have cost anywhere from $7.5 million to $1.7 billion in damages, which is a remarkable range that shows you how hard it is to quantify the harm caused by denial-of-service attacks.